Thank you for your interest in GIFT. An education from GIFT serves our students well as they move on to higher institutions of learning, and throughout their entire life. 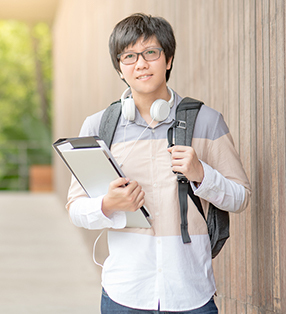 Any student under the age of 22 who does not have a high school diploma can enroll at GIFT as long as they meet entrance requirements for course placement. Typically students are enrolled as a junior or senior at one of our satellite schools. Some graduated seniors are eligible to apply within certain guidelines. Please speak to a guidance counselor for more information. We serve as many students as space allows on a first-come, first-served basis. We also serve homeschooled, charter, and high school dropouts up to the age of 22. We hold our Central Campus programs at Eastern Arizona College in Thatcher, Arizona. In addition to meeting GIFT enrollment and attendance requirements, students must also meet EAC-specific requirements to participate. Satellite program classes are available at participating area high schools and are open to GIFT students regardless of where they currently attend school. All GIFT students must complete the reading, writing, and math placement tests prior to acceptance into GIFT. Students may take these tests at the EAC counseling office at no charge. For more information, please contact us at (928) 348.3393. See your high school career tech for more information about applying, or you can apply online. If we notify you of acceptance into our programs and circumstances change so that you can no longer attend classes, please complete and return a declination form.